Top universities are known for their brand recognition and strong programs, but students can’t apply blindly to all Top 50 schools! 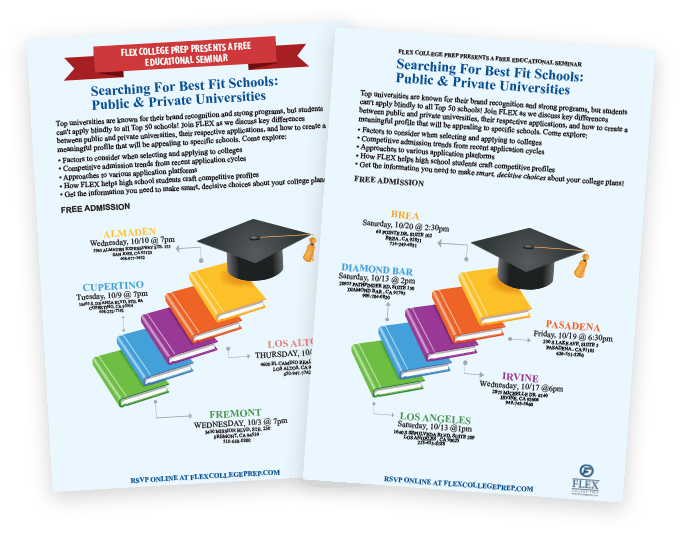 Join FLEX as we discuss key differences between public and private universities, their respective applications, and how to create a meaningful profile that will be appealing to specific schools. Get the information you need to make smart, decisive choices about your college plans!